Their Movie. Our Money.. 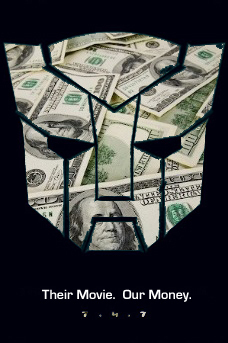 Funny parody of a transformers movie poster.. Wallpaper and background images in the transformers club tagged: transformers movie money funny poster ad. Funny parody of a transformers movie poster. Don't forget their toys our tears. Damn scalpers and hoarders.